18ct Yellow Gold Vintage Deco Wedding Ring. 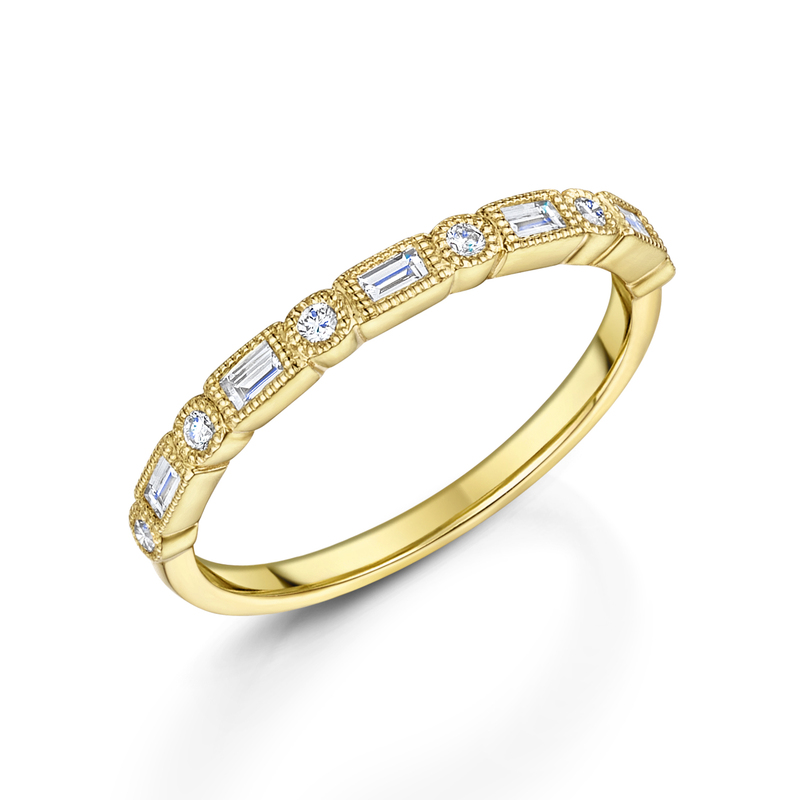 Set With 0.20ct Baguette & Brilliant Cut Diamonds. From Our Vintage Inspired Collection.